Fornasetti Jewelry Design Large Metal Serving Tray; Fornasetti Large Jewelry Metal Tray, Atelier Fornasetti.1980s-90s. A very striking graphic, large metal Fornasetti metal tray with jewelry placed on a red ground. .. Sandwich Cased-Glass Solar Lamp; SANDWICH CUT-GLASS AND BRASS SOLAR LAMP Cornelius & Company (active 1839-1851) Philadelphia, c. 1843 The spherical etched and cut glass shade above a spun brass oil.. 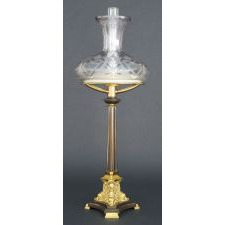 Sandwich Cased Cut Glass and Brass Solar Lamp; Cornelius & Company (active 1839-1851) Philadelphia, c. 1850 The spherical etched and cut glass shade above a spun brass oil font bearing the label of Cornelius and..
English Double Half-Hull Ship Model,; English Double Half Hull Model,from T. Withers & Sons, West Bromwich The two ship half-hulls are placed on a flat rectangular base facing each other. The com..
Vintage Shadow Box with Glass Dog; Shadow Box with Lauscha Glass Dog, Germany,1930s. 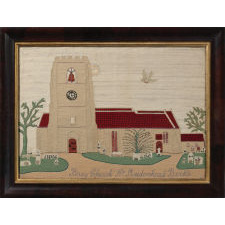 The white glass dog with black painted spots is depicted in a landscape created by a papered ground and backdrop stand..
"Mallards In Flight", Grenfell Hooked Rug; Grenfell Labrador Industries, Labrador & NewfoundlandCa. 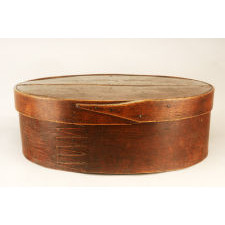 1890-1930.53" x 40"
Round Shaker Storage Box; Rare round example of a Shaker storage box. Maple, pine and poplar secured with copper rivets and wood pegs in an original natural surface. Red Shaker Oval Storage Box; A very fine example having elongated lappers. 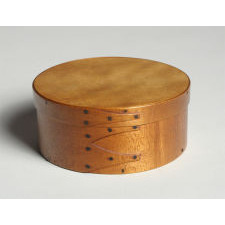 Maple and pine secured with copper rivets and brads and retaining an old or original red/orange wash under a layer of varni..
Not A Shaker Oval Box. ; A very nice SMALL personal storage box, whimsical in execution. Maple and pine secured by copper rivets and brads in an original natural surface. 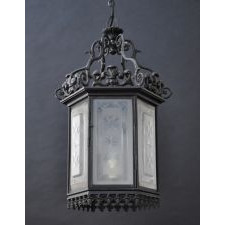 Lantern; New England, ca. 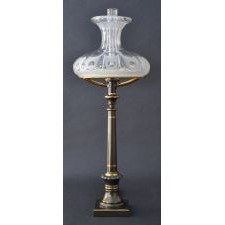 1860-1875.Iron, tin, glass lamp.Condition: Fine condition, retaining traces of black paint, minor repairs and imperfections.Found on Cape Cod, this rare and p.. Pipe Box; New England, ca. 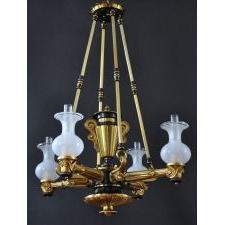 1760-1780.Maple, figured maple.Condition: Fine condition, refinished. Some bleeding to the original wrought nails.This rare two stage pipe box has a wonderful..
Game of Baseball copyrighted 1886 by McLoughlin Bro's New York; Fine chromolithograph gameboard of Baseball by the McLoughlin Bro's, copyrighted in 1886. Nine painted lead players are included, eight in red, with one in blue. 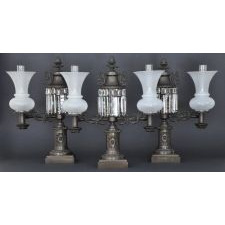 The batter an..
Set of three Argand over mantel lamps retailed by Clark Coit & Cargill N. York; Set of three Argand over mantel lamps with retail labels by Clark Coit & Cargill N. York in original finish retaining their period shades. 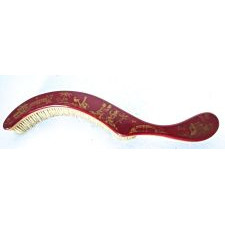 They having been elctrifie..
Scarlet Lacquered Brush C.Early18thC; Early Georgian brush used at the dining table. 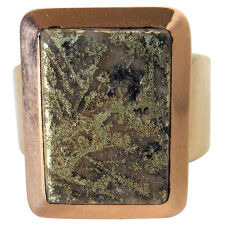 Scarlet jappanned decorated with hand painted orientral scenes consisting of people, pagodas, birds, bridges, and floral composi..
19th Century Gold Quartz Ring; The gold quartz rectangular ring with a beveled 18k gold border is circa 1875, and is mounted on a later (contemporary) 14 k gold band. It is a large size man's ring and is ve..
Georgian Tole Decorated Plate Warmer; A lovely tabletop or hearth front paint decorated piece, this Georgian Japanned tin plate warmer with excellent original chinoiserie decoration, cabriole legs with penny feet ..
Miniature Portrait; Miniature watercolor on ivory portrait of Luther Blevin, Norwich, CT, circa 1820, with legend verso. Sight size 2 1/2" high, 2" wide, frame size 5" high, 4 3/8" wide. Engraved Doorplate and Lock from the Philadelphia Residence of Dr. Caspar Wistar; Brass, steel, iron, mahoganyCirca 1800Lock - H: 8.5"; W: 12.5"; D: 2.5"Plate - L: 6.5"; H: 4.25" An engraved brass doorplate inscribed "Doctor Wistar" and a brass and mahogany..
Striped Cat Oil Painting; Oil on stretched canvas in untouched original condition. Signed C. F. Mowery. 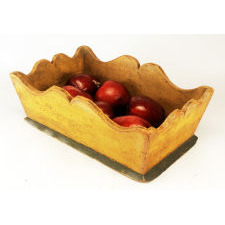 Mustard Apple Box With Boldly Cut-Out Sides; Pine painted mustard with green painted base and red borders. Excellent original paint. Minor restoration to bottom edge on one side (see photo). One of the better examples we..
Red and Yellow Painted Wooden Tea Bin Pair; Colorfully painted pine in excellent, dry, untouched original condition. 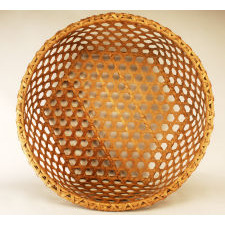 Large Splint Cheese Basket; Mint original condition with a dry surface. Maker's initials "W.R." on rim. 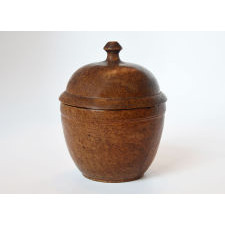 Large Red Oval Fingered Pantry Box; Ash bentword sides and pine top and bottom with a quality of construction rarely seen on this form. Original red surface. Hairline on top is a 2-board seam (not a crack). Trac.. 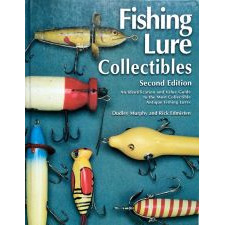 Fishing Lure Collectibles; For anyone with an interest in fishing, fishing memorabilia and material culture, or really, just fish, this is the book for you. 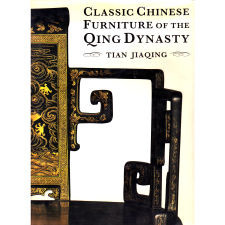 Hardcover, no dust jacket, and at 400 pages, .. Signed Hingham Piggin; Rare painted 2-color piggin signed by the maker Caleb S. Hersey, Hingham, MA, circa 1820-1860. Stamped on the bottom, "C.S...". Inscribed in pencil on the bottom: .. 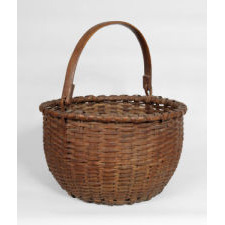 Painted Buttock Basket; Unusual painted small buttock basket, probably New England, mid-19th Century. Very good condition. Painted Box; Maine painted and decorated table-top box with original paint, probably Maine, circa 1820-1840. (Hinges replaced; chips to paint.) Ex. Ray Cox. Ht. 2 1/2"; W..
Nautical Mirror; Small American inlaid mirror, stained pine, probably sailor made, circa 1860-1880, with applied half-spindle elements and inlaid corner blocks. Original backboard. Burl Scoop; American ash burl scoop, late 18th or early 19th Century. Excellent form and old color. L. 19 1/2". A Diderot Pictorial Encyclopedia of Trades and Industry; A Diderot Pictorial Encyclopedia of Trades and Industry: Manufacturing and the Techincal Arts in Plates Selected from "L'Encyclopedie, ou Dictionnaire Raisonne des Sciences, d..
An American Shellwork Standing Mirror in the Form of a Harp. 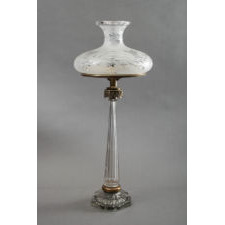 ; Circa 1885-1900. 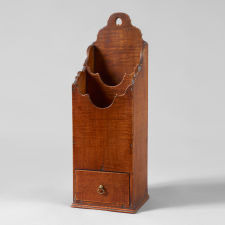 The unusual 19th-century shellwork standing mirror is in the form of a harp. The mirror is decorated with a mosaic of a delightful variety of naturally..
A Time to Mourn: Expressions of Grief in Nineteenth Century America; A Time to Mourn: Expressions of Grief in Nineteenth Century America by Martha V. Pike and Janice Gray Armstrong. 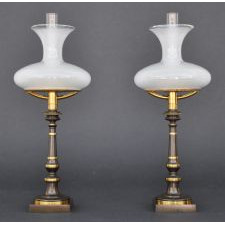 This is one of the only and best sources concerning the materi..
Hourglass; A fine hourglass in excellent color and condition. 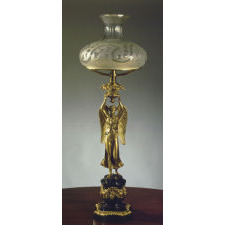 Rare Crystal and Bronze Isis Sinumbra Lamp; The suppressed doughnut-shaped font holding a shaped etched and frosted glass shade centering a burner tube above a cut crystal standard with a brass collar on a stepped recta..
Lacquered Brass Figural Isis Sinumbra Argand Lamp; IMPORTANT MATTE, BURNISHED AND PATINATED LACQUERED BRASS FIGURAL SINUMBRA LAMP WITH NIKE, GREEK GODDESS OF VICTORY Thomas Messenger & Sons Birmingham, England 1932-1840 He.. 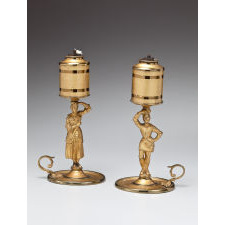 Pair of Patinated Bronze Single-Arm Argand Lamps; Attributed to Phipson & Lambley (active, 1828-39) Birmingham, England, c.1820 The urn-form oil fonts with flame finials and garland decoration with Satyr masks abov.. 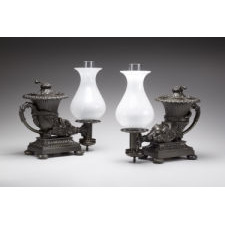 Pair of Argand Lamps in the form of Ancient Rhytons; Stamped: MESSENGER Thomas Messenger & Sons Birmingham, England, c.1835 The round top of the oil font with lotus leaf cast decoration and finial on the fluted, horn-.. 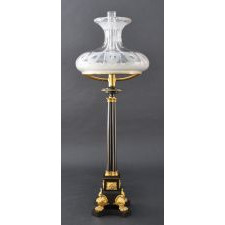 EXTREMELY RARE PALMER PATENT CANDLE LAMP IN ORIGINAL CONDITION CIRCA 1840'S; Few people have any experience with candle lamps. 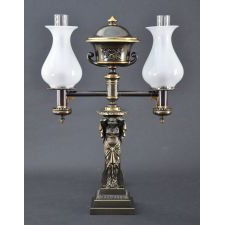 This particular one was invented by Palmer in England in the early 1840's. It is an incredible device. 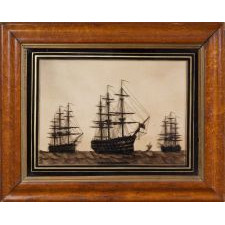 Ther..
"WEST POINT" LARGE FOLIO HANDCOLORED LITHOGRAPH BY CURRIER & IVES, NEW YORK, CIRCA 1862 ; This is one of the most desirable views of West Point ever published. 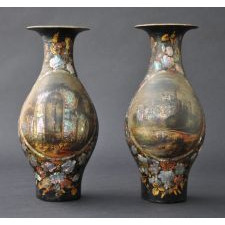 It is based on an original painting by George Cooke that was published by William Bennett in 1.. Cast stone Sculpture of a Lamb; A nicely carved cast stone sculpture of a lamb. 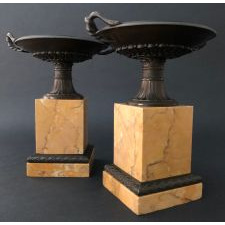 Pair of Brass Figural Lard Lamps; A very rare form retaining very rare original matte & burnished lacquered brass surface. Antique Hopi coiled tray with Polik Mana; The Hopi on Second Mesa have a long tradition of weaving coiled baskets out of yucca with grass foundation. 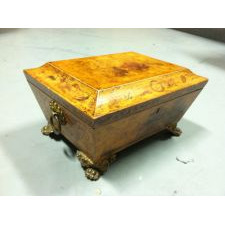 This tray is the finest that we have ever seen and it has survived ..
Regency Satinwood Bride's Box; In Sarcophagus form with Pen-work decoration and Or-Molu Brass Paw Feet and Ring Handles at the ends. 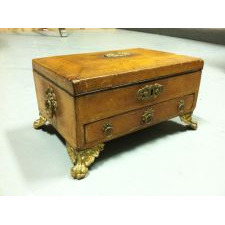 Brass-Mounted Gilt-Stamped Leather Bride's Box; The Box is fully bound in tooled leather with "or-molu" brass appointments, a drawer, and lined with paper with an egraved scene of rural Pennsylvania under the lid. 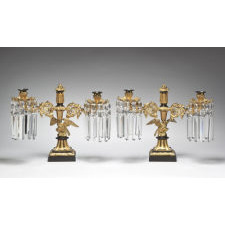 PAIR OF LACQUERED-BRASS EAGLE-BASE CANDELABRA; Stamped: M & P (Messenger & Phipson) (active 1797-1823) The central standard raising a finial above two scrolled candle arms with lusters hanging..
Late 19th Century Buttocks Basket; This a fine example of a Pennsylvania Buttocks Basket. 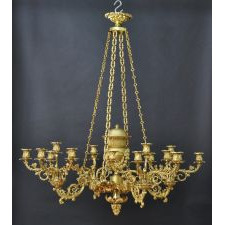 It is in very good condition with only a couple of very minor imperfections. 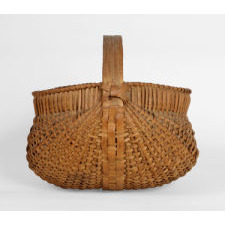 It retains ..
19th Century Swing HandleTaconic Basket; This is a fine example of a Taconic Basket. It has a wonderful original untouched surface. There is a very small break at the bottom. 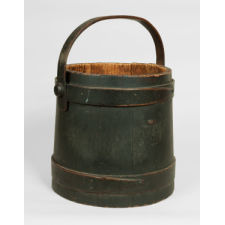 The basket does "lean" ..
19th Century New England Painted Bucket; Fine wooden Bucket in the original dark green paint - pristine condition with no repairs. This bucket never had a top as evidenced by the paint wear. 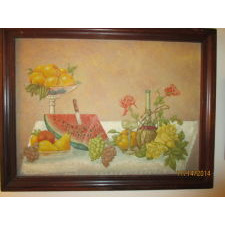 Still life painting on wood panel; A very folky still life painting on wood panel. The painting is in original as found condition with no restoration. 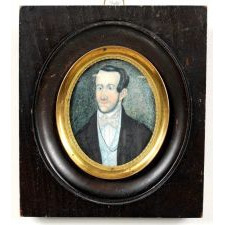 The wood frame appears to be the original frame. The painti..
Baltimore Brewery Painting; Painting of the American Beer Brewery in Baltimore, Md. The painting is oil on canvas laid down on board for stability. 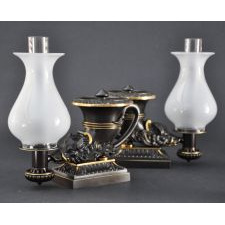 There is significant in-painting in the background but ..
Roycroft Shops magazine pedestal ; Roycroft Shops magazine pedestal, quarter cut American White Oak. Original finish with minor conservation. 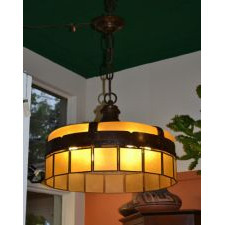 The Roycroft was a reformist community and played a major part ..
Gustav Stickley Hanging Fixture; Rare Gustav Stickley hanging fixture. 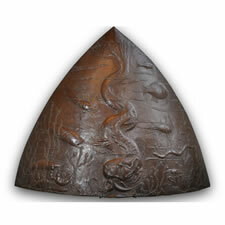 This 26 inch diameter fixture was produced from hammered copper. Each of the 18 square panels of amber colored glass hang independantly f..
Georgian chrysoberyl and amethyst brooch; Beautifully designed Georgian brooch in yellow gold with contrasting amethysts and chrysoberls. assymetrical design with swags and drops give a very sophisticated look in an e..
Doll House; Extraordinary English wax doll garden party, Mahogany and curly maple case having three large glass eye wax dolls wearing elaborate ribbon trimmed gauze party dresses. The cas..
Dog Painting; Folk art painting on artist board colorful portrait of a young girl seated on dog and dog begging behind. 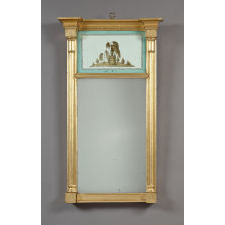 EARLY FEDERAL PERIOD GILT MIRROR WITH DESIRABLE EAGLE REVERSE PAINTED GLASS MADE IN NEW ENGLAND CIRCA 1800-15; Here is a desirable mirror because it retains its original reverse painted glass panel of an American eagle. 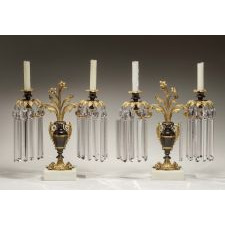 In addition it retains its original gilt surface with no tou..
Sterling & Boar's Tusk CorkScrew Wine Bottle Opener. Circa 1880.; Mint condition cork screw wine bottle opener employing a boar's tusk for a handle, ending in a sterling silver decoration at the base; with a "Walker" collar. It is marked "ST..
Large Prehistoric Australian Gold Nugget 18.8 Troy Ounces (Mined in 2000); This is a rarity in that few gold nuggets have the size and beauty of this one, both in color and shape. 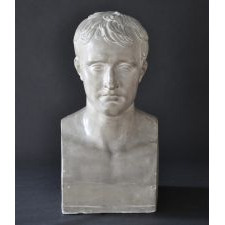 It weighs 584.5 grams (18.8 troy ounces), and rates at 22 to 23 karots.. Mid 19th Century Applique Table Mat; This dramatic 19th century table mat exudes a strong modern sensibility and would be a welcome addition to any decor. The piece was mounted by Cathy Wilson and it does h.. Cast Iron Architectural Element of the "BEST" Dog; What a face! This cast iron architectural element dates to the late 19th or early 20th century and it features both glass eyes and the "best" surface. The piece measures 15"H ..
Advertising Sign; A sign with black sand paint and gold lettering that advertises fire insurance agent Julia Fay Chapman of Keene, NH. 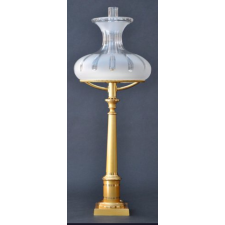 Chapman was unusual for the times not only because s..
Large Copper Urn With Swags; Pieced copper sheets with soldered seams in the best original yellow sizing and verdigris patina. Likely made by a weathervane manufacturer. See our website for 200 similar it..
Island Barber Shop and Pool Room Trade Sign; Two-sided pine with molded edges in superb original condition on both sides. Gold lettering on black with red inner border. FREE shipping too. 5-Color Parcheesi Gameboard; Thin stock poplar in dry original condition. No cracks. Minor chip on one corner of breadboard end. Original hanger. Unusual color combination. Rare Pair of Banjo Player Andirons; American, ca. 1870.Cast iron painted blackCondition: Finely cast, replaced dogsThis pair of figural form andirons of two gentlemen,perhaps African-American, playing banjos are.. 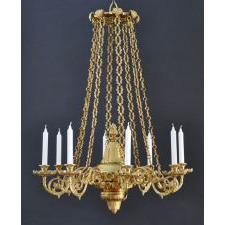 Architectural Eagle and Laurel Wreath Element; AmericanCa. 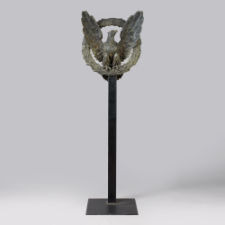 1880-1910Cast iron, patinated.The full body hollow cast eagle figure is mounted within a concave cast laurel wreath.Condition: Fine condition, traces of black pain..
Federal Mirror; Girandole Mirror. Probably English. Gilt and Carved eagle on plinth with floral carving surrounded by foliate carving above round molded frame with black molded liner all surr..
Etruscan Revival Bracelet; Finely made woven gold bracelet with elaborate 3 diamond clasp. 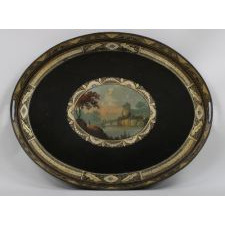 The clasp exhibits the artwork known as Etruscan Revival which became popular in England and Europe during the ..
Regency Tole Tray; Regency black and polychrome-gilt oval tole tray with an galleried edge gold leafed with rosettes and willows with a handle at each end. 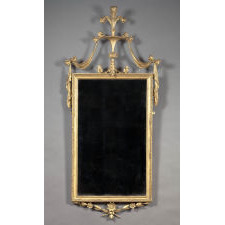 The center reserve depicting a l..
Queen Anne Mirror with Original Chinoiserie Decoration; A fine Queen Anne mirror with original "chinoiserie" decoration on salmon background. In excellent condition. Troy, NY Ovoid Stoneware Jug with Blue Decoration; This beautifully formed 2 gallon ovoid stoneware jug is debossed “I. Seymour / Troy. Factory” and it dates C. 1830. The jug is decorated with a simple, yet pleasan..
Carved and Paint Decorated Folk Art Bird; Though unsigned, this exquisite carved bird is quite obviously the work of a masteful late 19th/early 20th century carver and polychrome decorator. Each detail (both carved an.. 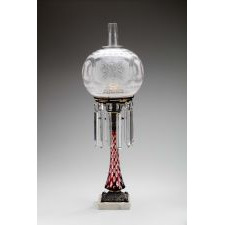 Oversized Dutch Case Gin Bottle, C. 1780.; Standing a commanding 13 5/8” in height, this oversized Dutch gin bottle is an exceptional example of its type. 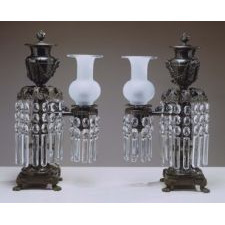 The bottle dates to the last quarter of the 18th century ..
Blown Glass Vase; Spectacular Redford or Redwood, NY blown glass vase with superimposed gather, C. 1840. 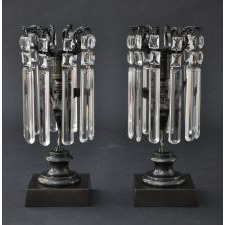 Exceptionally brilliant glass (peculiar to Redford and Redwood) and formed to perfection.. 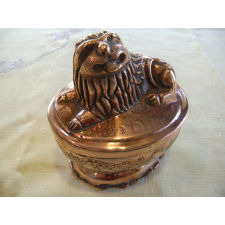 Oval Copper Lion Snuff Box; RARE COPPER SNUFF BOX WITH REPOUSSE LION ON LID AND DECORATED FINELY ENGRAVED SURFACES. DATED 1660 WITH MONOGRAM �DMR�ON SHOULDER. Circa 1660. Holland Copper Condition: Goo..
American Musical Instruments in the Metropolitan Museum of Art; Laurence Libin. 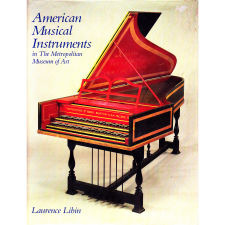 AMERICAN MUSICAL INSTRUMENTS IN THE METROPOLITAN MUSEUM OF ART. New York: The Metropolitan Museum of Art and the W. W. Norton Co., 1985. 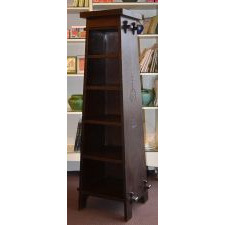 Hardcover with dust ja..
A Shaker Three Tier Hanger; A wonderful example of Shaker functional design. When horizontal, three shirts, vests, etc. could be easily hung and then when placed on a pegrail in the vertical plane less s..
American Covered Ash Burl Bowl; A fine and unusually tall and narrow form - nicely turned from a well figured burl specimen with a well fitted top and thin body. 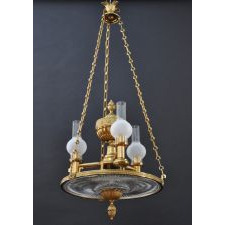 Mushroom style finial is turned from the soli..
Hand Hammered Copper Hood; An exceptional hand hammered copper hood with great surface and in original condition. 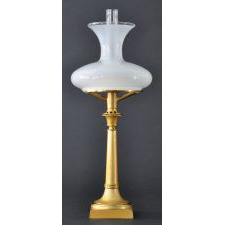 Measures 49" tall x 68" wide.